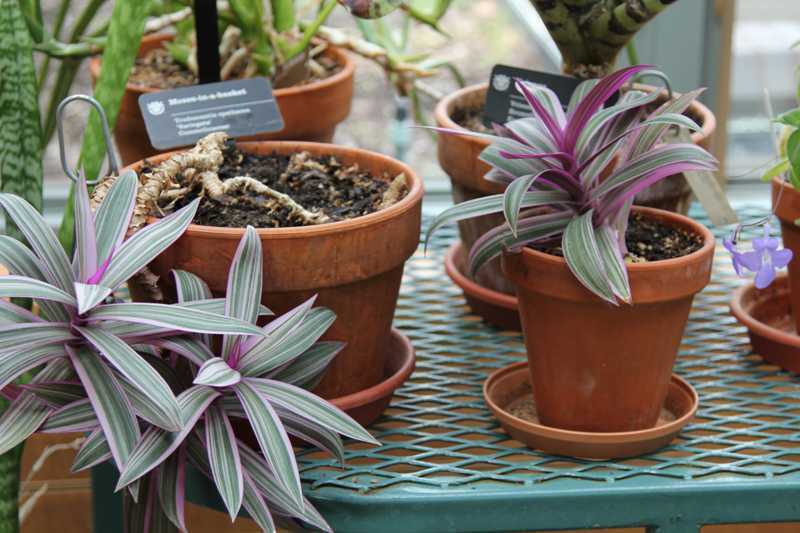 Many plants are very easy to layer. 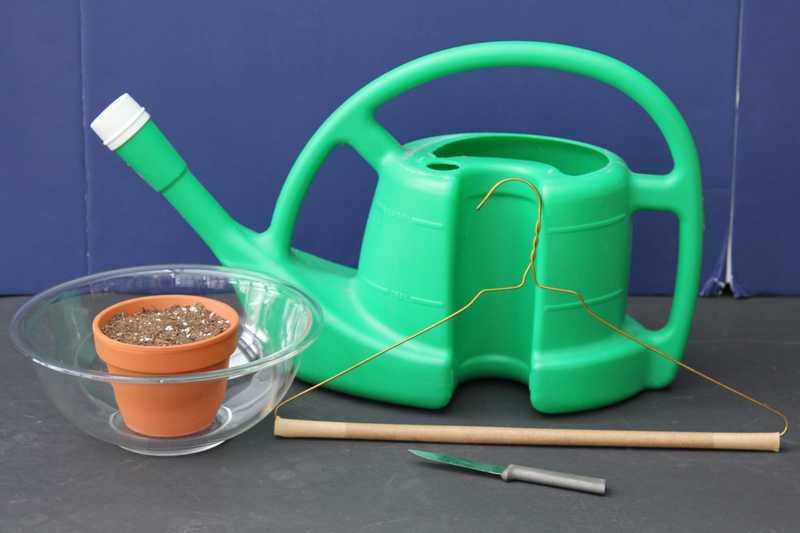 This shows how simple the procedure can be with an overgrown Moses-in-the-cradle that is flopping over the sides of the pot. 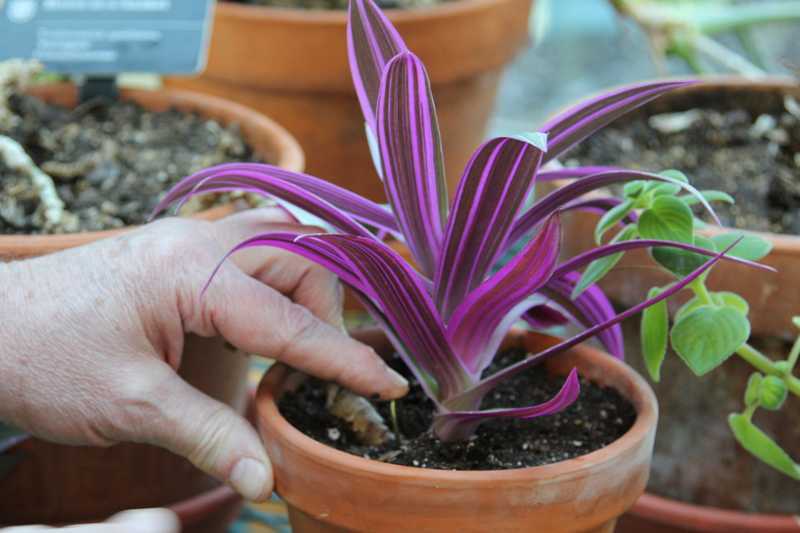 Select a plant, such as, Moses-in-the-cradle (Tradescantia), that is growing over the sides of the pot. 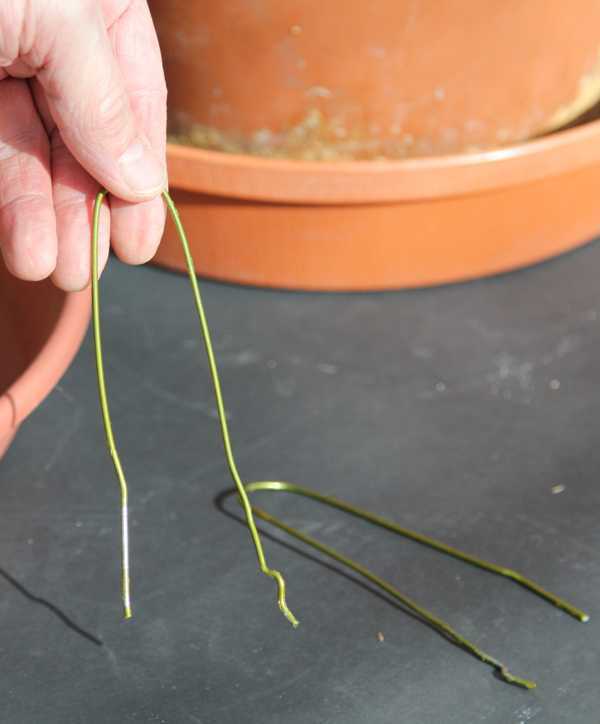 Cut a section of wire about 7-9 inches long and form into a pin. 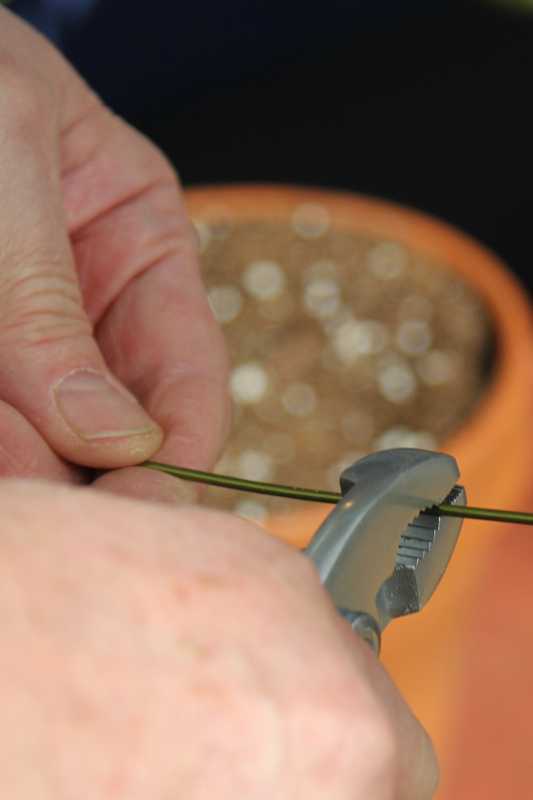 You could also cut a section of stiff wire from another source or use purchased landscape fabric pins if you didn't want to make your own. 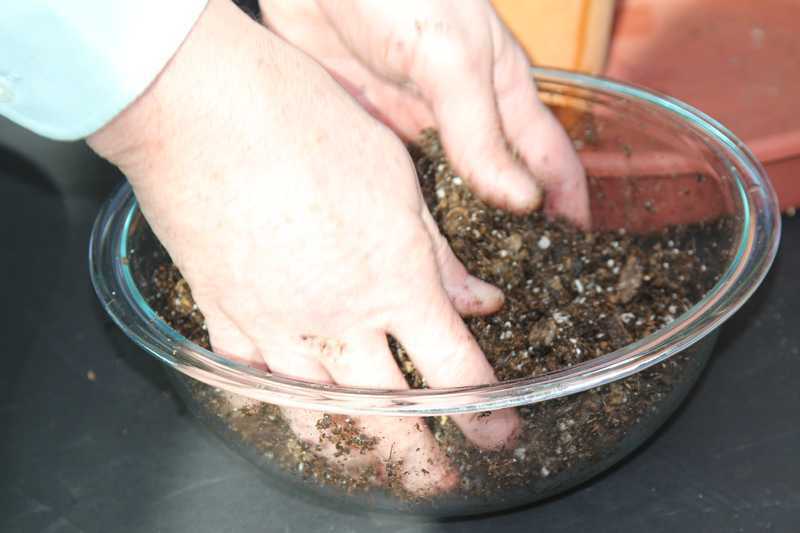 The potting mix needs to be thoroughly moistened. 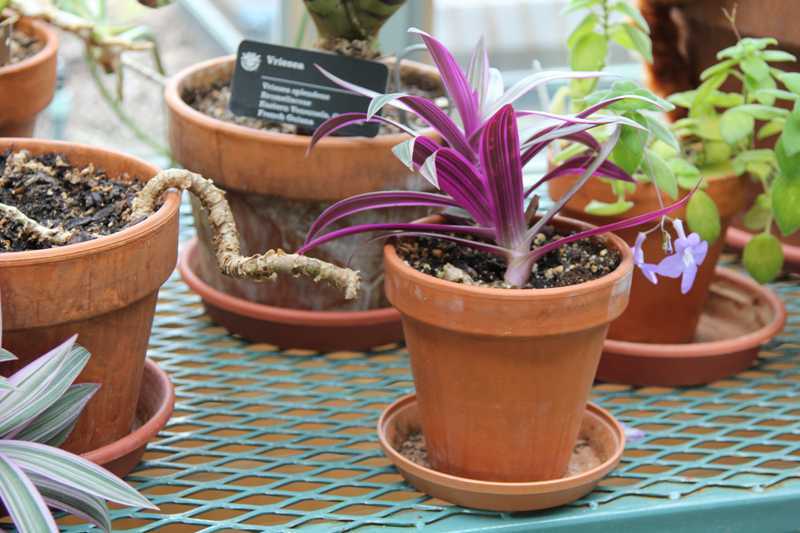 Simply placing dry potting soil into a pot and watering it does not work. 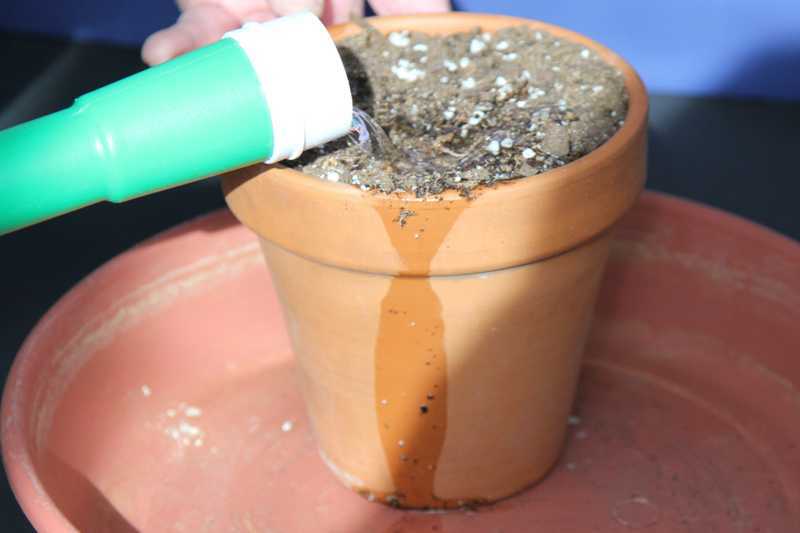 The water will overflow the pot and the potting soil will remain dry underneath. 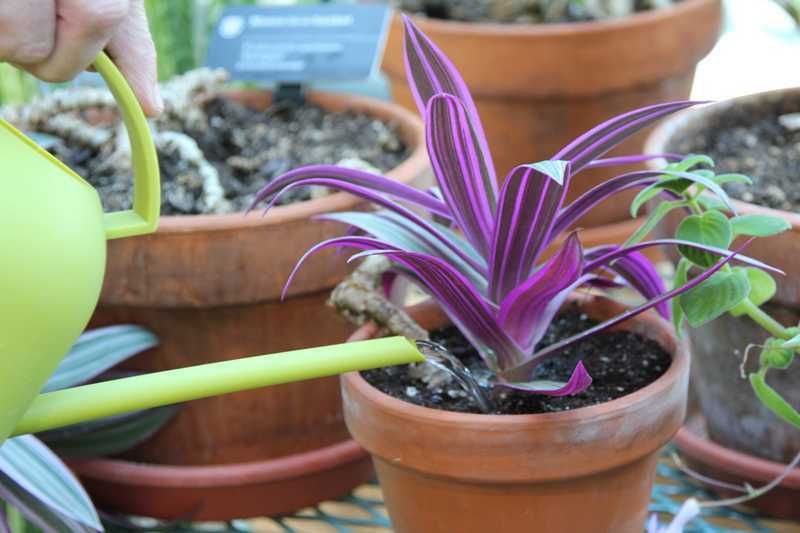 Place the potting mix in a container and add water sparingly. Mix thoroughly. 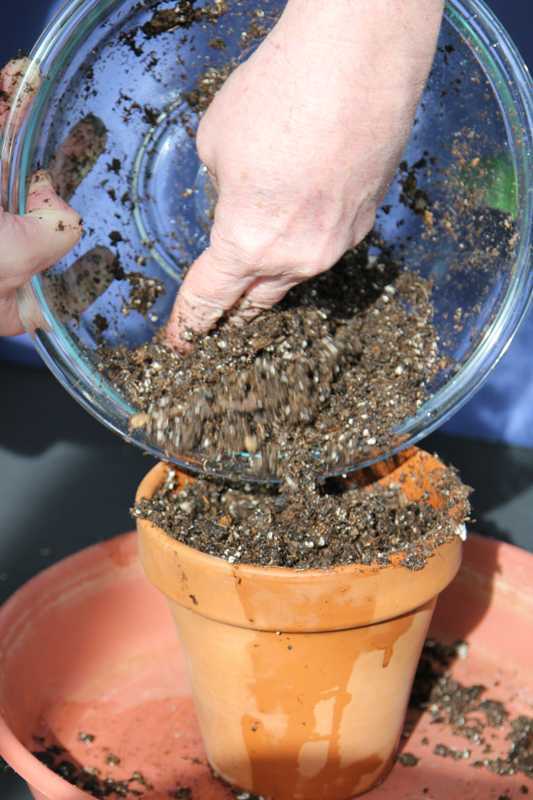 Continue adding water and mixing until potting mix is moist but not soggy. 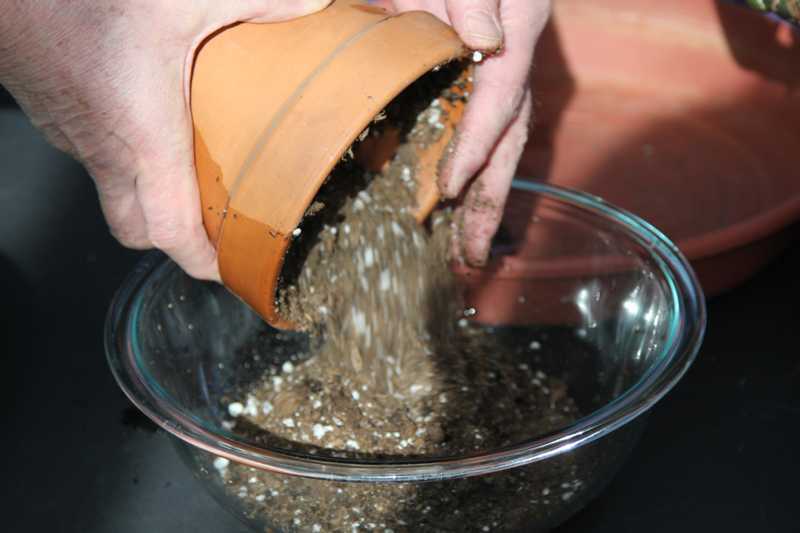 Place the moistened soil in the pot and gently press down to compact the soil slightly. 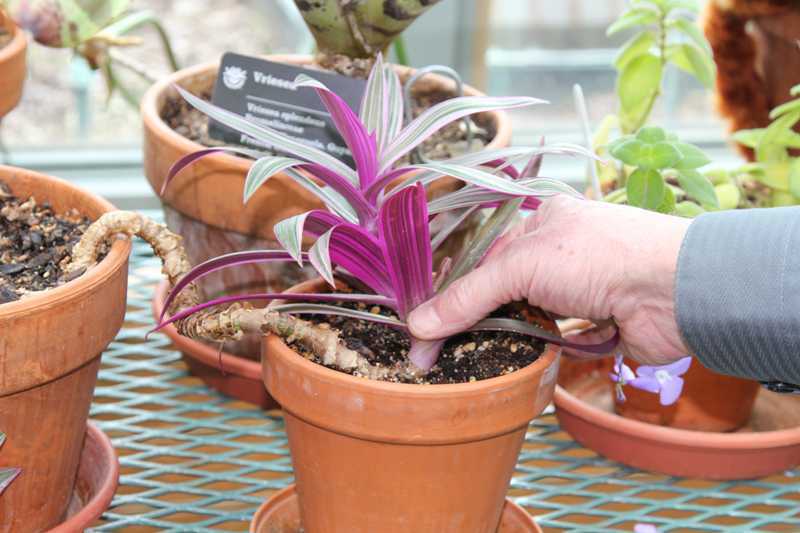 Choose a low area on the stem where you want roots to form. 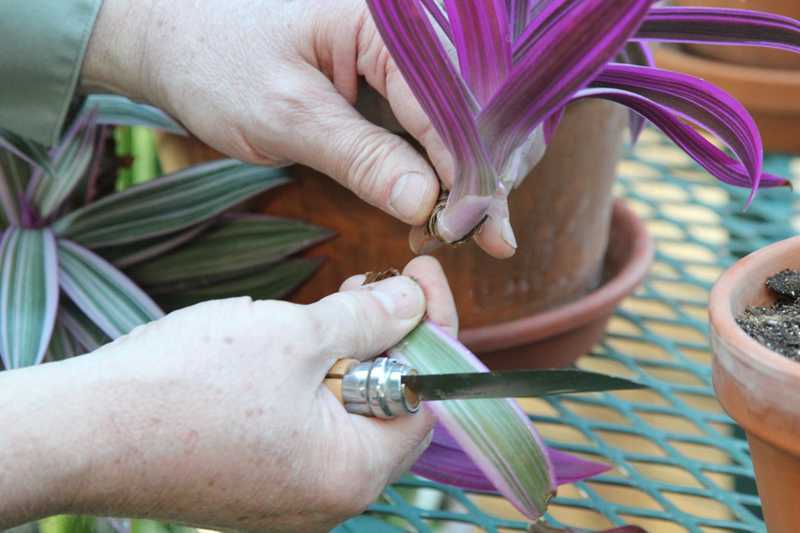 Remove a thin slice from the spot where roots should form (layering point). This will encourage roots to form at this location. 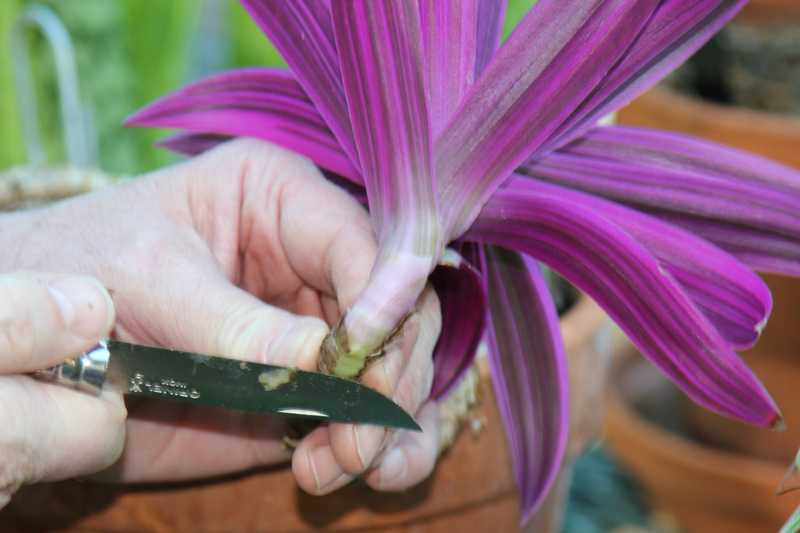 Place the section of the stem where you want it to root down into the moistened soil. Usually this is done close to the tip. Pin the stem down securly with the wire pins. In this case only one pins was needed to keep it down securely. 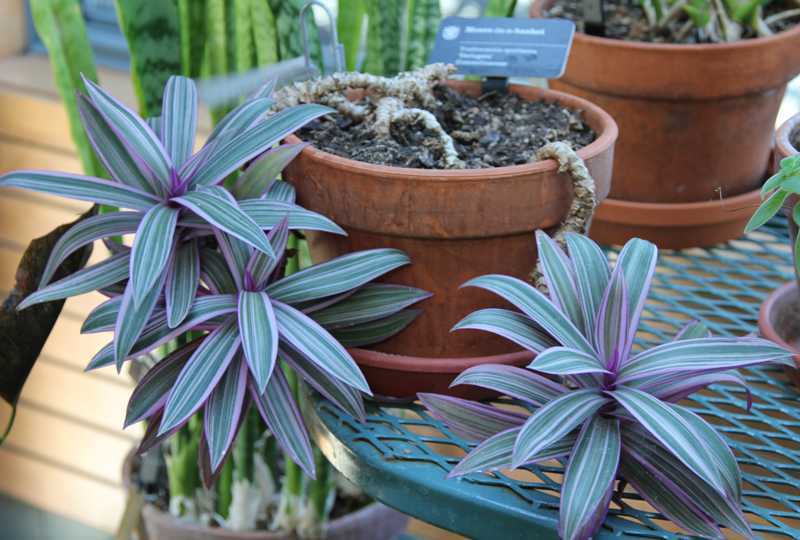 The plant can remain in its usual growing location. 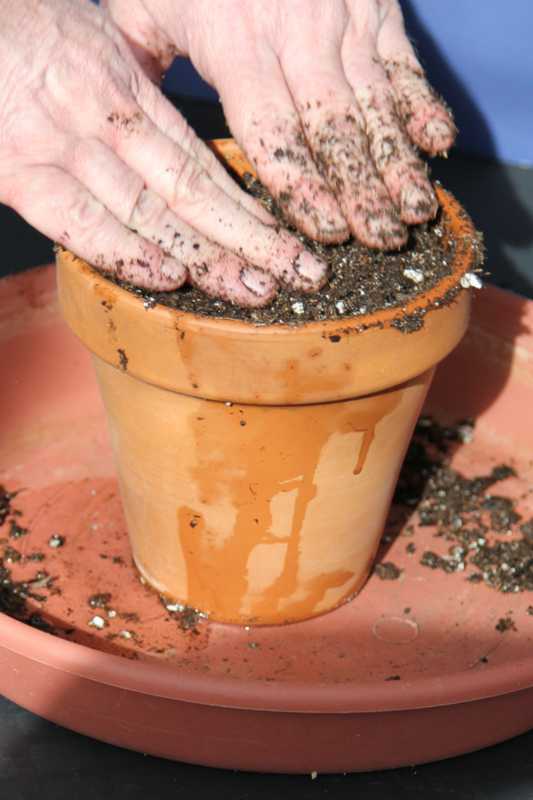 Keep the soil in the pot damp or rooting may be slow or not occur at all. 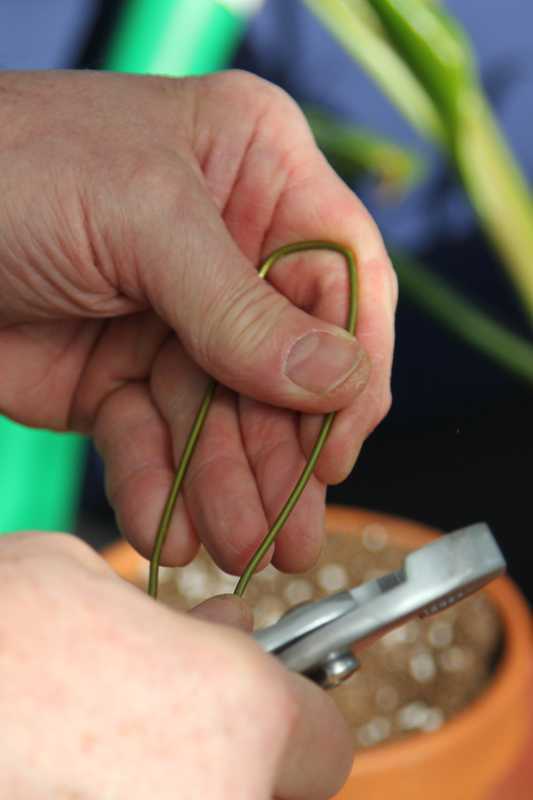 Check for rooting by removing the wire pins and gently tugging on the layered plant. 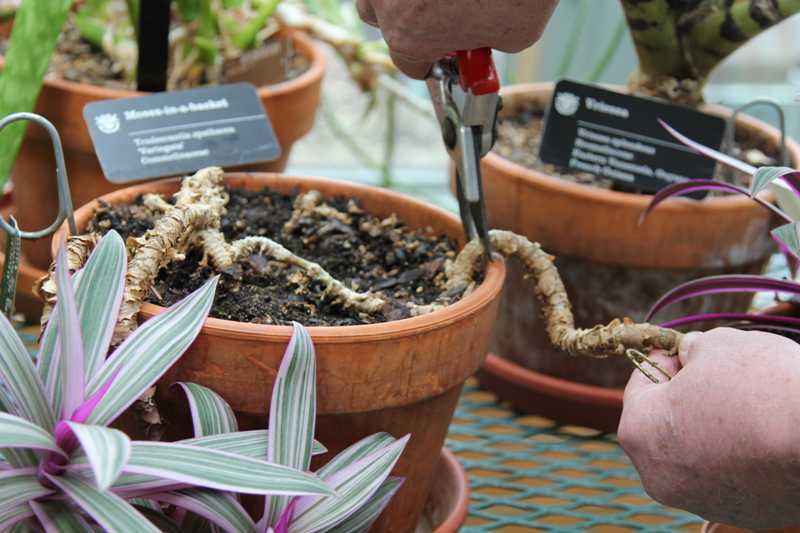 When properly rooted, the plant will not come out of the soil. Here, rooting has occurred. 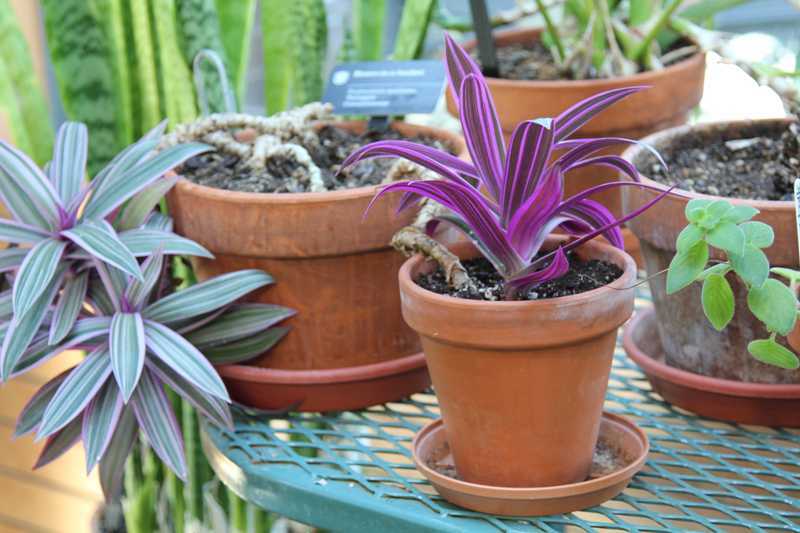 If it had not occurred (if the plant had come out of the soil when tugged), put it back in the soil and again secure with pins. 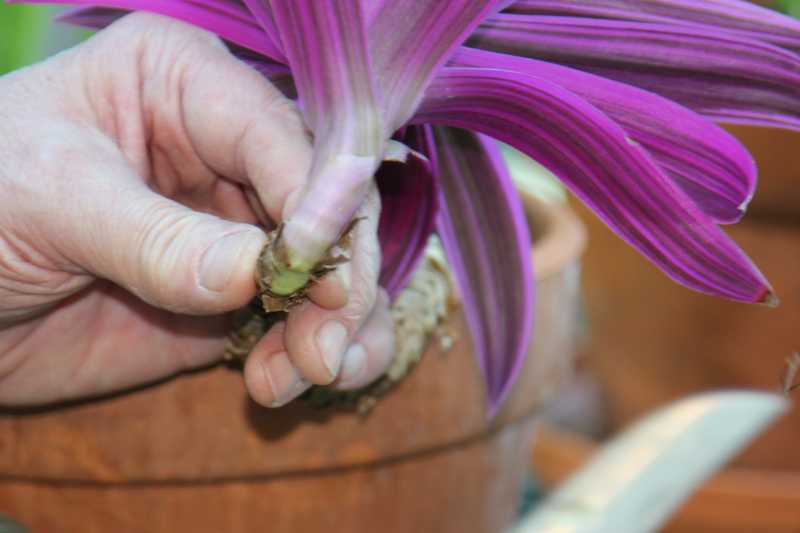 When rooting had occured cut the the plant from the mother plant. 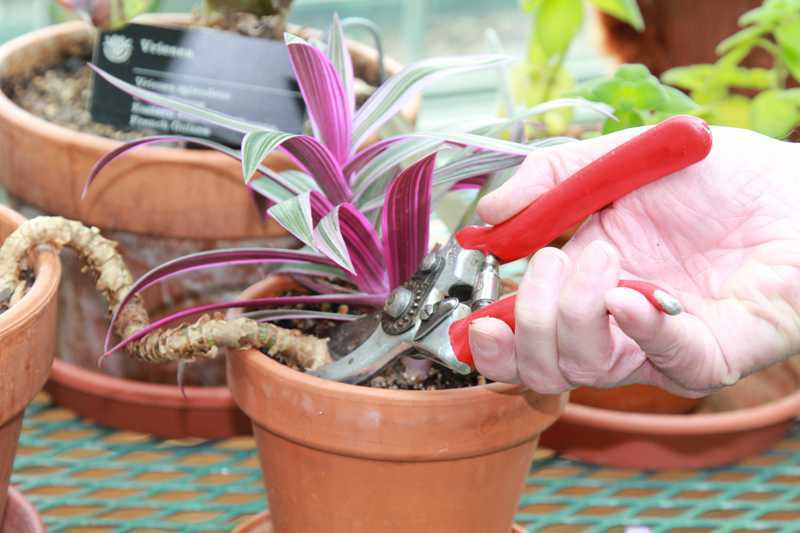 Trim back the long stem and dispose of it to encourage new growth from the stub back to the center of the pot. 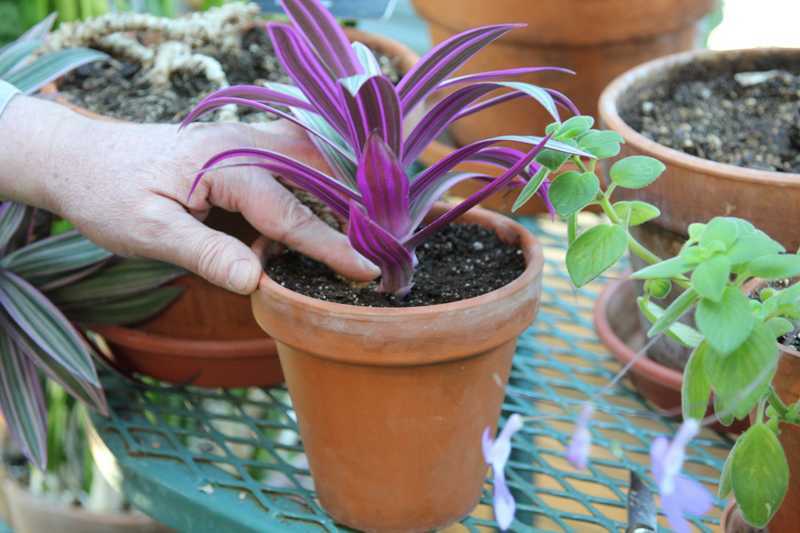 Return the mother plant to its usual growing location and do as you wish with the new one. 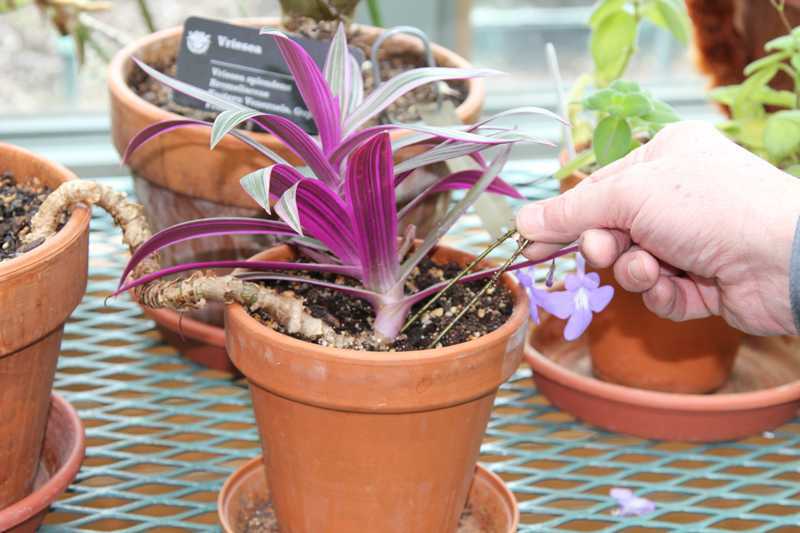 If we had wanted, we could have layered several drooping branches on this plant all at once and had several new plants. 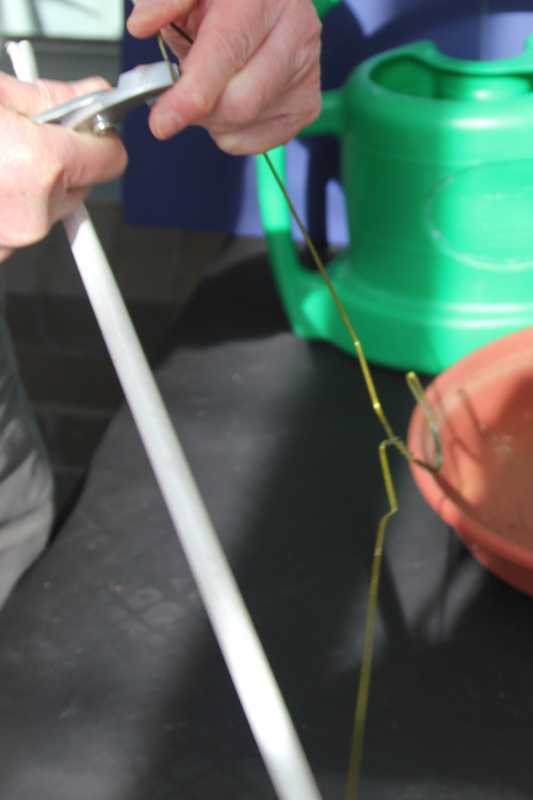 The other branches could still be layered.